Check out the CLO staff's favorite birding spots—our favorite birding locations across the country. Check out 50 favorite birding spots recommended by Cornell Lab of Ornithology staff. Our birding hotspots run the gamut from Rocky Mountain National Park in Colorado to the more intimate Malloryville Nature Conservancy Preserve near Dryden, NY. Each of these areas offers the chance to see both rare and locally common birds in a beautiful natural setting. Why Special: Long days for birding, incredible scenery, salmon bakes. Birds to Look For: All 4 species of eiders, Yellow-billed Loon, Emperor Goose, Parakeet, Crested and Least auklets, Horned Puffin, numerous shorebirds on breeding grounds, Siberian vagrants in late May and early June. Birds to Look For: Nene, Akiapolaau, Elepaio, Omao, Palila, Apapane, I'iwi, and more. Why Special: This isn’t a single site, but a general area that packs a range of habitats into a small area, with a variety of species present that have fairly restricted ranges or habitat preferences. You can travel quickly from lowland sagebrush (Sage Thrasher) up to Ponderosa Pine forest (White-headed Woodpecker), see American Dippers in snow-fed streams, and scan cliff faces for nesting Prairie Falcons and other raptors. Why Special: Western birds and if the birds aren't there, the landscape more then makes up for it. 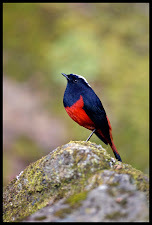 Birds to Look For: Can't narrow it down! Why Special: Huge tidal mudflats attract a large number of shorebirds, and support a thriving and tasty oyster industry. Birds to Look For: Large flocks of Short-billed Dowitchers, Whimbrel and Black-bellied Plover can be seen near Bay Center, WA. Also throughout the bay are large flocks of peeps (perhaps best seen from Leadbetter State Park, WA); almost any species of shore-bird expected in the area could be found here. Parasitic Jaegers sometimes harass the Caspian Terns that are common; peregrines go for shorebirds; Wilson's Warbler and Rufous Hummingbird nest in the thickets along the bay; and huge flocks of Sanderling can be found on the open beach on the west side of the state park. Why Special: A huge wetland in the middle of dry Great Basin country, this site attracts both migrants and breeders that are not easily found in other areas of the state. Habitat: Large marshes, sage-brush, and some riparian woodland. When To Go: Go in mid-spring and fall for migrants, and all summer for breeding wetland and sagebrush birds. Birds to Look For: Several oases, such as the Refuge Headquarters, attract huge concentrations of migrating passerine birds when conditions are right, including western rarities such as Black-and-White Warbler, Chestnut-sided Warbler, and many others. 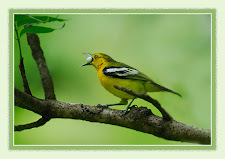 At times the trees drip with 100s of Western Tanagers, Bullock's Orioles and Lazuli Buntings. Many shorebird species pass through, as well as hawks. Long-billed Curlew, Wilson's Phalarope and Avocets breed. Ferruginous and Swainson's hawks, as well as Golden Eagle, are also resident. Riparian habitat attracts Ash-throated Flycatcher, Great-Horned Owl, and others. Habitat: Mountain forest, on the wetter side of the Cascade Mountains, often including burned areas. The lake itself is one of the clearest in the world. Why Special: A huge, tipped block of stone towering over the Alvord Desert at approx. 9700 feet, with sagebrush habitat on its slopes and stunning scenery. When To Go: Any time in the spring, fall or summer, when there's not too much snow. Birds to Look For: Greater Sage-Grouse, Black Rosy-Finch, Prairie Falcon, Golden Eagle, other migrating raptors. Why Special: A great place both for shorebirds and seabirds, as well as a great migrant trap for anything. Habitat: Open Coast, Tidal estuary, and coastal shore pine woodland. When To Go: Almost any time of year. Bad weather sometimes means good birds! Birds to Look For: During migration, this is a great place for shorebirds. The estuary attracts large flocks of peeps including Baird's and the rarer Semipalmated Sandpiper, while the rocky jetty hosts Black Turnstone and Wandering Tattler. Migrating alcids and loons, grebes and shearwaters fly by in sometimes mind-boggling numbers, and the river itself, as well as the shore, can host a wide variety of gulls. Wrentits and sometimes rare wandering passerines can be found in the woods, and the jetty was one of the spots to host a Bristle-thighed Curlew in Oregon in 1996. Habitat: Semi-arid grasslands, oak-juniper woodlands. Yellow-billed Magpie, Tricolored Blackbird, Nuttall’s Woodpecker, Lawrence’s Goldfinch, Chukar. Why Special: The drive through the mountains leads through a great variety of habitat, yet it’s very close to an urban area. When To Go: The birding here is good year-round, but in winter, many higher-elevation roads are inaccessible due to snow. Birds to Look For: White-headed Woodpecker: wow, what a bird, especially when seen on a giant sequoia! Why Special: Imagine having to avert your gaze from a swarm of ocean-going birds visiting the northern hemisphere from their Austral nesting grounds in order see a blue whale or sea turtle. For a typically land-locked bird watcher the richness of life on the open ocean can be surprising. On the west coast of North America oceanic birds are most accessible on pelagic birding trips on Monterey Bay, most of which leave from the city of Monterey. The on-shore birding isn’t bad either, with birds like Wrentit and Yellow-billed Magpie present in appropriate habitats. Birds to Look For: Numerous shorebirds, terns, waterfowl, Black-necked Stilt, Brown Pelicans, etc. Also has Peregrine Falcon. 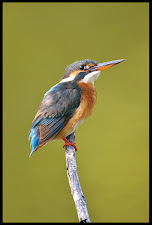 Birds to Look For: attracts a wide range of waterfowl, shorebirds, rails, raptors, songbirds. Why Special: A great place with a wide range of habitats; Point Reyes Bird Observatory has a major trapping and banding operation there. Why Special: Imagine standing on one spot and slowing turning around, seeing literally dozens of American Avocet nests, while flocks of White-faced Ibis fly against a backdrop of rugged mountains. 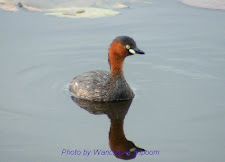 Western and Clark’s Grebes can be watched in their courtship dashes across the water surface. The concentration of waterfowl, shorebirds and larger waders in the right seasons is amazing, especially in contrast to the more arid habitats typical of the Great Basin. Birds to Look For: Rosy-finches, White-tailed Ptarmigan, Blue Grouse, Black-backed and Three-toed woodpeckers, Clark's Nutcracker; Prairie Falcon, and on the rivers are American Dippers. Why Special: This part of Saguaro National Park is as good as any to explore, but nestled on one side is the Arizona-Sonoran Desert Museum in which wild birds are as tame and approachable as the captive ones. The combination of interpretive efforts of the national park and Desert Museum provide a thorough introduction not just to desert birds but the Sonoran Desert in general. Why Special: There are several “sky islands” rising out of the desert of southeastern Arizona all of which hold several species of principally Mexican bird species, but the Huachuca Mountains are my favorite because there are several different areas to explore, all with a minimum of driving. 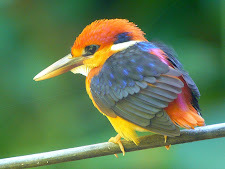 You can go quickly from the San Pedro River (Green Kingfisher), through the riparian forest along mountain streams (Elegant Trogon) up to mountain coniferous forests (Hepatic Tanager) as the day heats up. This mountain range also holds the only regularly observable Buff-bellied Flycatchers in the United States. Why Special: The plateau that the Grand Canyon cuts through has an abrupt end with a sharp drop south of Flagstaff; this drop is the Mogollon Rim. The elevation of the plateau, and rapid elevation drop make for an interesting juxtaposition of birds. You can watch a “northern” Orange-crowned Warbler, right next to Virginia’s Warbler and Red-faced Warbler. 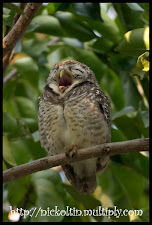 Saw-whet and Flammulated owl can be sleeping a stone’s throw away from each other. Evening Grosbeaks and Lesser Goldfinch can be seen on the same day. Red-breasted, White-breasted, and Pygmy nuthatches are all present. The deep canyons that cut into the Rim hold Black Hawks (for example north of Sedona in Oak Creek Canyon). Why Special: Fantastic array of pink granite slopes and access to all of the SE Arizona specialties in a variety of habitats. Location: An hour or so south of Albuquerque, New Mexico. When To Go: Best between Thanksgiving and early February. Time of day: get there before dawn to watch the Snow Geese lift off en masses. Get there late afternoon to watch the cranes and geese return to the roost pools. Why Special: In summer, a gorgeous place to look for southwestern specialties. Habitat: Ponderosa pine, oak-juniper, riparian. When To Go: Summer, for the specialty breeders. Why Special: Most of the southern Texan habitats, complete with their Mexican specialties, are present in this National Wildlife Refuge, with grassland and coastal habitats present that are not found in any of the other famous Lower Rio Grande birding locations. Within the refuge boundaries it is possible to see a wide assortment of birds, ranging from northern and prairie migrant waterfowl and waders, through southeastern waders like Rosette Spoonbill and Reddish Egret, to Mexican “exotics” like Green Jay and Plain Chachalaca. This sort of diversity cannot be matched anywhere else in southern Texas in a single day of birding at one location. Why Special: These two locations are ideal for birders looking for great birds but are unable to move around as well as when they were young. Look for the "bird lady" at Chapinga and the beautiful but natural birding locations right on the Rio Grande River. Just south of Chapinga is a small trailer parker where the Dewinds welcome birders each winter. The area is now owned by the Valley Land Fund. 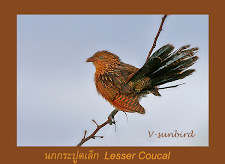 Why Special: The great mix of both common and rare birds, please the laid back approach. When to go: November to March is the most productive. Birds to Look For: Here's a sample. Why Special: The variety of habitats makes this a great place to bird and hike. Birds to Look For: Quail, Colima Warbler, Painted Redstart, Gray Vireo, Zone-tailed Hawk, western sparrows, Lucifer and Blue-throated hummingbirds. 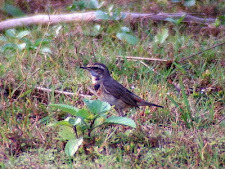 Why Special: If you time it right, I don't know any place that will give you better/closer looks at warblers. When To Go: Spring migration immediately after a storm front has gone through the gulf. Birds to Look For: Spring migrants, warblers including Swainson's, grosbeaks, tanagers, orioles, cuckoos, etc. Never know what you'll see here, always seems to have a rarity or two. 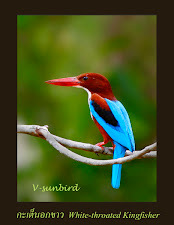 Birds to Look For: Altimira Oriole, Hook-billed Kite, Ringed Kingfisher, and who knows? Why Special: Rails, particularly the elusive Yellow Rail and Black Rail, are much sought after by birders. At this location it is possible to see every single species of U.S. rail, particularly in winter, using a couple of short boardwalks built into the salt marshes that lie between South Padre Island and mainland Texas. Sora and Clapper Rail are particularly visible in winter…even Clapper Rails eating Sora can be seen at the Convention Center. Also Reddish Egret and Roseate Spoonbill. When To Go: Winter, best time determined by the tides (higher is better for flushing the rails out of the salt marsh). 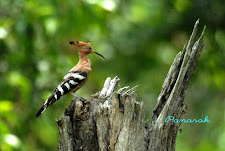 Why Special: Wetland habitat surrounded by grasslands and agricultural fields attracts an incredible diversity of birds. Habitat: Salt marsh, sand dunes, prairie grasses, tree lines. 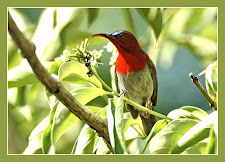 Why Special: Nice mix of bird species all year round, easy access and walks. Habitat: Man-made ponds and mudflats surrounded by agricultural fields, stands of deciduous trees, shrubby areas. Birds to Look For: ducks, rails, eastern migrants, western vagrants. Why Special: Incredible hawk migration during most of fall. Habitat: Mixed decid/coniferous woods around the ridge. When To Go: Go in late September, October or early November. Birds to Look For: Hawk Ridge is at the south end of the North Shore of Lake Superior, which funnels migrants down the shore in fall. Very large (100,000+) movements of Broad-winged Hawks have occurred here, as well as large movements of Sharp-shinned and Cooper's hawks. This is a reliable spot late in the season for Northern Goshawk and Golden Eagle. Passerine migration can be quite good, with large numbers of birds (sometimes including crossbills and Evening Grosbeak) moving through. Early in fall, large numbers of Common Nighthawks pass by as well. Why Special: It's long and it's urban, and is therefore easily accessible. It protects habitat both for resident breeding species such as Prothontary Warbler and Dickcissel, and for a massive number of migrants of all types, from ducks to wood-warblers. Habitat: Covers a wide range of habitats, ranging from backwater marshes of the Minnesota River to upland prairies and remnant and restored oak savannah. When To Go: Go almost any time - there are gulls in the winter at Black Dog Lake, warbler fallouts in spring and fall, and breeding marshbirds in summer. Birds to Look For: Nesting Prothonotary Warbler, Virginia Rail, Least Bittern, Scarlet Tanager, Dickcissel, Bald Eagle, Peregrine Falcon. Migrant: Over 20 species of wood-warblers, ducks galore. Winter: Gulls of several species, including Minnesota rarities like Iceland Gull, Thayer's Gull, Great Black-backed Gull, Glaucous Gull. Large concentrations of wintering waterfowl, including Common Merganser, Snow Geese, and goldeneye. Why Special: A great migrant trap in fall and spring, both for birds on the lake (Lake Superior), and migrating passerines moving up the shore. Habitat: Open beach, lake, park, parking lot, and a strip of woods down the middle. 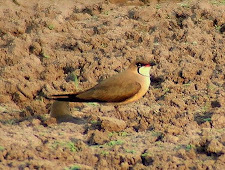 When To Go: The point is best during migration, and is worth checking both early in spring and late in fall. Birds to Look For: This is one of the best places in Minnesota to find Red-throated Loon. Shorebirds may turn up on the beach, and on the bay side of the point, and scotors (tough to find in MN) may be found in either the bay on the south side or the lake side. Foggy mornings in spring sometimes cause a buildup of migrating passerines on the point, waiting for better weather to cross the lake, and some mornings have 20+ warblers (including Mourning, Golden-winged, and Connecticut), and many other passerine birds. Birds to Look For: Yellow Rail is very reliable here, as is Nelson's Sharp-tailed Sparrow. For the former, you have to much further north to find them again, and the latter, north and far west. Why Special: One of the southernmost rocky peninsulas along the Maine coast, this site is well-known as a guaranteed location to see Harlequin Ducks at close range from late fall through early spring. The area abounds in other sea ducks and wintering waterbirds and is a great place to watch for alcids and Black-legged Kittiwakes in winter. The odd thing about the site is that it is the location of a hotel complex that is little-used in winter so you can drive up and set up a scope near the ocean and still be close to your car for cover. On our 10-hour drive from Maine to Ithaca, NY, after our annual family Christmas holiday visit, we almost always stop here for our fix of harlequins in their incredible colors. Habitat: Spruce fir forests, tracts of deciduous northern hardwood forests. When To Go: Year-round, but in winter, Great Gray Owls have visited the area. Birds to Look For: Gray Jay, Boreal Chickadee, Black-backed Woodpecker, White-winged Crossbill. In winter, Great Gray Owl (sometimes), Northern Shrike. Location: 10 miles off the coast of Maine. Commercial ferries leave out of Tenants Harbor and Boothbay Harbor. Why Special: In spring and fall, it is a haven for migrants and rare species. Huge numbers of migrants alight all over the island to rest during migration. There are always rarities among them. In winter, it’s a great place to look for alcids, but very cold with whipping winds, so bundle up! Monhegan is such a great birding spot that we spent our honeymoon here. When To Go: Winter, but especially spring and fall. Throughout the migration seasons, there are lots of birders around so there are many eyes for finding birds. Birds to Look For: Keep your eyes peeled for anything. The island has had Ivory Gull (in winter), Swallow-tailed Kite, Blue Grosbeak, Painted Bunting, Cerulean Warbler, Yellow-breasted Chat, Summer Tanager, Clay-colored Sparrow, Lark Sparrow, to name just a few. Why Special: One of few Maine breeding locations for the endangered Piping Plover and Least Tern. Roseate and Artic terns have bred on the offshore islands, and a small colony of Common Terns have also bred nearby. I spent a few summers working as an innkeeper’s assistant at the only inn near the beach, and birding along the beach after work was always a treat. Fortunately, the residents know about the birds and their plight and a program is in place to educate the public and protect the birds, sponsored by Maine Audubon. When To Go: In summer, seeing Least Terns and Piping Plovers are a virtual guarantee, especially if you’re willing to stroll the beach. In winter, sea ducks are always around. Why Special: Relatively undisturbed example of northern yellow birch, spruce forest. Habitat: Aspen groves,old fields, and mature northern hardwood forests. Why Special: This beautiful preserved meadow is also a stone’s throw from the ocean, with nice salt marsh grasses. Home to breeding Saltmarsh Sharp-tailed Sparrows. Nice spot to catch views of fall migrant shorebirds. Why Special: Great views of both land and water birds. Why Special: A nice open mudflat with great views of migrant shorebirds, often offering several species in the same scope field. Birds to Look For: Stilt Sandpiper, Dunlin, Marbled Godwit and several “peeps” (sandpipers. Why Special: The gull capital of the world. An important area for Bonaparte’s and other gulls (an estimated 20% or more of the world’s population of Bonaparte’s Gulls use the area). Habitat: C’mon, this is Niagara Falls! A fresh-water river featuring some of the most dramatic waterfalls in the world. The falls stir up the water below, and the result is a feeding frenzy. When To Go: October through December are the gulliest months. Birds to Look For: Gulls—Franklin’s, Sabine’s, Black-headed, Glaucous, Iceland, Little, Black-legged Kittiwake, Great Black-backed, Lesser Black-backed. Look for other rare birds along the river; a Pacific Loon was found here one year, for example. Why Special: Phenomenal migrant trap during spring migration under normal migratory conditions. Insectivorous birds descend to feed on the millions of insects attracted to the hawthorn florets; nectar-eating birds descend to feed upon the ample nectar food supply provided by the florets. Habitat: 75% of the area is covered in solid hawthorn trees, with the rest consisting of buckthorn, apple, pear, white pine, and honeysuckle. This hawthorn orchard reached this state of maturity by selective grazing of cattle, years ago, and is kept in this state by continuous selective grazing by white-tailed deer. Birds to Look For: Tennesee Warbler, Bay-breasted Warbler, Cape May Warbler, Blackpoll Warbler, Nashville Warbler, Wilson's Warbler, plus many of the more common migrant species. Other goodies seen there include Golden-winged Warbler, Worm-eating Warbler, Yellow-Breasted Chat, Whip-poor-will, and Yellow-bellied Flycatchers. High numbers on a single day have been seen of Nashville (30+), Northern Parula (20+), Black-throated Blue (25+), Bay-breasted (6+), Cape May (6+), Mourning (3), Wilson's (3), Yellow-rumped (70+) Warblers, and American Redstart (25+). Note: Thanks to the Cayuga Bird Club, there is a website available with information, pictures, bird list, directions, aerial shot, etc. Location: Technically part of Dryden, NY, between Ithaca and Cortland. When To Go: Year-round, though the trails are a little tough in winter without snowshoes or skis. Birds to Look For: Northern Waterthrush, Black-throated Green Warbler, Ruffed Grouse are among the breeders. We’ve had Winter Wren and Common Redpoll here. Why Special: Great spot for a quiet walk through tall deciduous woods along a babbling creek, as well as a good fall migrant trap for species below. Why Special: The stretch from Irondequoit Bay to Braddock Bay is worth several stops to view enormous rafts of waterfowl and gulls. Birds to Look For: Tufted Duck, arctic gulls, all three jaegers, Snowy Owl. Why Special: I also love this place, for similar reasons as Cape May, though the habitat is completely different. Why Special: Great spring migrant spot and great place to listen to nocturnal migrant flyovers. Why Special: Labyrinth of trails provides a really nice place to easily see spring migrants. Why Special: Diversity of habitats, variety of birds, great seafood. Close proximity to other worthwhile stops: Eastern Shore of Virginia NWR, Kiptopeke State Park, and Chesapeake Bay-Bridge Tunnel. Why Special: 15-acre park in developed area with incredible diversity of warblers. 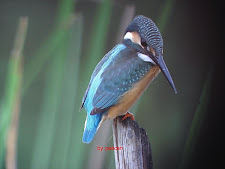 You can sit just a few yards away as they forage and bath in the creek – you’re able to really watch the individual, not just tick off the species. Habitat: Tall deciduous trees, open understory, creek. 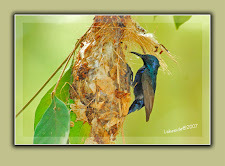 Why Special: Windy island habitat with an abundance of natural areas and miles of beaches for ideal birding. Why Special: Corkscrew sticks in my mind because of the approachability of the birds that are there and the old-growth cypress swamp that serves as their backdrop. It’s literally possible to see birds like Anhingas or night-herons a few feet beside, over or even under you. The birds’ tameness lets you not just see a bird, but really watch it and learn what it does for a living. Why Special: The large diversity of both aquatic and land birds, and that they are so tame and close that is the best place in the US to see in detail the iris color differences between species and among ages in birds! Habitat: Sawgrass marsh, wet prairie/slough, swamp forest, willow and cattail marshes, alligator holes, hardwood hammocks. Within the sawgrass marsh are channels and ponds of deeper water that contain water year round, except in the driest years. The wider, deeper channels of water are called sloughs, while the smaller ponds are often maintained by alligators and thus are called gator holes. Why Special: This place is saturated with birds and other wildlife, especially during migration and winter. We visited during the Space Coast Birding Festival in November when our son was only 3 _ months old and especially enjoyed cruising around the Black Point Wildlife Drive. Along with hundreds of herons and egrets and ducks, we watched a family of otters cavorting up the waterway near our car. Habitat: Wetlands and grassy palm savannah. When To Go: Fall through spring. Birds to Look For: Roseate Spoonbill, White Pelican, Anhinga, many species of ducks, shorebirds, herons and egrets, terns, etc. 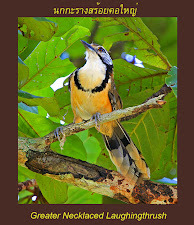 Birds to Look For: every neotropical migrant! Learn some of the secrets of bird identification using silhouettes, posture, flight pattern, size and habitat, in addition to key field marks. Are you amazed at how quickly birders can identify birds? Actually, it's just like getting to know your human neighbors. When you move into a new neighborhood everyone is a stranger, but soon you learn to tell people apart as you unconsciously catalog their characteristics. Their habits, shape, styles of walking, and "habitats" become familiar enough that you can recognize each neighbor immediately, even at a distance. Start by learning to identify general groups of birds- warblers, flycatchers, hawks, owls, wrens- whose members all share certain similarities. As your observation skills improve, familiarize yourself with the field marks -- colored or patterned areas on the bird's body, head, and wings -- that help distinguish species. 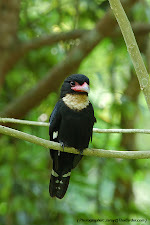 Birds in the same general group often have the same body shape and proportions, although they may vary in size. Silhouette alone gives many clues to a bird's identity, allowing birders to assign a bird to the correct group or even the exact species. In the above illustration are 23 different birds. How many can you recognize just by their silhouettes? Look carefully - don't miss the ones hiding in the leafy tree! In order to describe a bird, ornithologists divide its body into topographical regions: beak (or bill), head, back, wings, tail, and legs. To help with identification, many of these regions are divided still further. This diagram of regions of the bird's body shows some of the commonly used descriptive terms. Birds display a huge variety of patterns and colors, which they have evolved in part to recognize other members of their own species. Birders can use these features - known as field marks - to help distinguish species. 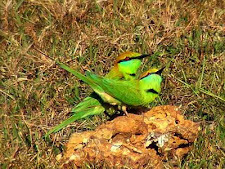 Pay particular attention to the field marks of the head and the field marks of the wing. Beak shape and size are also important identifying characteristics. Posture clues can help place a bird in its correct group. Watch an American Robin, a common member of the thrush family, strut across a yard. Notice how it takes several steps, then adopts an alert, upright stance with its breast held forward. Other thrushes have similar postures, as do larks and shorebirds. 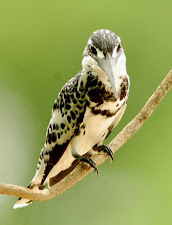 Certain bird groups have distinctive vertical posture when perched on a branch. Flycatchers, hawks, and owls typically sit in an upright pose with tails pointing straight down. Other birds perch horizontally on vegetation with tails pointing out at an angle, for instance vireos, shrikes, crows, and warblers. Distant perched crows and hawks may look alike, but paying attention to their different postures may help to tell them apart. The Red-tailed Hawk perches upright, whereas the similarly-sized American Crow perches horizontally. Once you have assigned a bird to its correct group, size can be a clue to its actual species. Be aware, though, that size can be difficult to determine in the field, especially under poor lighting conditions or at a distance. Size comparisons are most useful when the unknown bird is seen side-by-side with a familiar species. In the absence of that, you can use the sizes of well-known birds, such as the House Sparrow, American Robin, and American Crow, as references when trying to identify an unfamiliar bird. A crow-sized woodpecker would be a Pileated, but one the size of a sparrow might be a Downy Woodpecker (or a Ladder-backed Woodpecker in the Southwest). A yellow-and-black finch smaller than a sparrow is probably an American Goldfinch. Evening Grosbeaks have similar colors and patterns, but are almost robin-sized. Sometimes you need two reference birds for comparison. A Cedar Waxwing is bigger than a sparrow but smaller than a robin. A Blue Jay is larger than a robin but smaller than a crow. Finches exhibit a steep, roller-coaster flight, whereas woodpeckers generally fly in a pattern of moderate rises and falls. Flying accipiters such as Sharp-shinned Hawks, Cooper's Hawks, and Northern Goshawks typically make several wing flaps followed by a glide. Buteos, such as the Red-tailed Hawk, are usually seen soaring. Dashed lines indicate flapping, solid lines soaring. Flight patterns can sometime distinguish similar species. The American Crow, for instance, flies with deliberate, flapping wingbeats. The similar Common Raven often alternates flapping with hawk-like soaring. Head-on flight profiles may also give identity clues. Soaring Turkey Vultures may look like hawks, but they hold their wings in a shallow V-shape, whereas most hawks and eagles hold their wings out flat. Black Vultures also have a flatter, more hawk-like profile. Northern Harriers hold their wings in more of a V-shape, but their slow, flapping flight near the ground generally gives away their identity. Notice how the Bald Eagle's profile is even more flat than that of a typical hawk, such as the Red-tailed Hawk. Below are some common birds of common plant communities. As you'll see, bird groups such as sparrows, wrens, hawks, and warblers are common to each community, but the actual species differ depending on the habitat. Agricultural fields no longer used for farming form an "old field" habitat as they slowly revert to forest. In the Northeast and the Mid-Atlantic states, the original grasses are replaced with plants such as goldenrod, mullein, asters, and brambles (blackberry). Thickets of woody shrubs - such as honeysuckle and multiflora rose - develop, mixed with small trees such as red cedar, black locust and hawthorn. Birds found there include Field Sparrow, House Wren, Red-tailed Hawk, and Blue-winged Warbler. In a broad band stretching from the Great Lakes region eastward to New England and the Maritime Provinces of Canada, the southern deciduous woodlands and the coniferous forests of the north meet and intermingle. There broad-leafed trees such as oaks, hickories, beeches, and maples mix with conifers such as spruces, firs, and hemlocks. Birds that live there include Winter Wren, Northern Goshawk, White-throated Sparrow, and Black-throated Green Warbler. The Sonoran Desert is a hot, dry region covering 120,000 square miles in southwestern Arizona and southeastern California, as well as most of Baja California and the western half of the state of Sonora, Mexico. Tall saguaro cactus and spiny cholla cactus are common, mixed with trees such as ironwoods and palo verdes, and shrubs such as saltbush, creosote bush, and mesquite. Black-throated Sparrow, Cactus Wren, Harris's Hawk, and Lucy's Warbler can be found there. A freshwater marsh is a treeless wetland whose shallow water supports dense stands of mostly emergent plants (rooted in mud but with most of their foliage above water). Marshes are found throughout North America, often forming when ponds and shallow lakes fill in, although beavers may also play an important role in their formation. Typical vegetation includes cattails, bulrushes, sedges and reeds. In deeper pools submerged and floating aquatic plants occur, including water lilies, pondweed, arrowhead, duckweed, smartweed, bladderwort, pickerel-weed, water-shield, and sweet flag. Bands of shrubs such as alder and willow occur at drier marsh edges. Swamp Sparrow, Northern Harrier, Marsh Wren, and Common Yellowthroat are typical residents. Welcome! You've joined the millions of people worldwide who enjoy watching birds! Have you always wondered how experienced birders can confidently identify birds with just a glimpse? We'll help you learn the identification skills you need by describing the characteristics birders pay particular attention to in the field. Wondering where to go to find birds? The best place to start birding is locally—in your own backyard or neighborhood park. But if you're yearning for parts unknown, we'll share with you some of the Cornell Lab of Ornithology staff's favorite birding spots in North America. Looking for a way to use your birding observations to help birds? We invite you to become a participant in one of the Lab's many Citizen Science projects.